There’s actually trillions that could be used to fix our roads and schools. The wealthy just don’t want you to know where it is. If you find yourself traveling this summer, take a closer look at America’s deteriorating infrastructure — our crumbling roads, sidewalks, public parks, and train and bus stations. Government officials will tell us “there’s no money” to repair or properly maintain our tired infrastructure. Nor do we want to raise taxes, they say. But what if billions of dollars in tax revenue have gone missing? New research suggests that the super-rich are hiding their money at alarming rates. A study by economists Annette Alstadsaeter, Niels Johannesen, and Gabriel Zucman reports that households with wealth over $40 million evade 25 to 30 percent of personal income and wealth taxes. These stunning numbers have two troubling implications. First, we’re missing billions in taxes each year. That’s partly why our roads and transit systems are falling apart. Second, wealth inequality may be even worse than we thought. Economic surveys estimate that roughly 85 percent of income and wealth gains in the last decade have gone to the wealthiest one-tenth of the top 1 percent. That’s bad enough. But what if the concentration is even greater? Visualize the nation’s wealth as an expansive and deep reservoir of fresh water. A small portion of this water provides sustenance to fields and villages downstream, in the form of tax dollars for public services. In recent years, the water level has declined to a trickle, and the villages below are suffering from water shortages. Everyone is told to tighten their belts and make sacrifices. Deep below the water surface, however, is a hidden pipe, siphoning vast amounts of water — as much as a third of the whole reservoir — off to a secret pool in the forest. The rich are swimming while the villagers go thirsty and the fields dry up. Yes, there are vast pools of privately owned wealth, mostly held by a small segment of super-rich Americans. The wealthiest 400 billionaires have at least as much wealth as 62 percent of the U.S. population — that’s nearly 200 million of us. Don’t taxpayers of all incomes under-report their incomes? Maybe here and there. But these aren’t folks making a few dollars “under the table.” These are billionaires stashing away trillions of the world’s wealth. 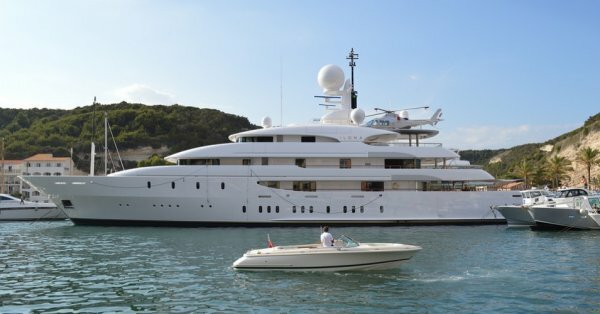 The latest study underscores that tax evasion by the super-rich is at least 10 times greater — and in some nations 250 times more likely — than by everyone else. How is that possible? After all, most of us have our taxes taken out of our paychecks and pay sales taxes at the register. Homeowners get their house assessed and pay a property tax. But the wealthy have the resources to hire the services of what’s called the “wealth defense industry.” These aren’t your “mom and pop” financial advisers that sell life insurance or help folks plan for retirement. The wealth defenders of the super-rich — including tax lawyers, estate planners, accountants, and other financial professionals — are accomplices in the heist. They drive the getaway cars, by designing complex trusts, shell companies, and offshore accounts to hide money. These managers help the private jet set avoid paying their fair share of taxes, even as they disproportionately benefit from living in a country with the rule of law, property rights protections, and public infrastructure the rest of us pay for. Not all wealthy are tax dodgers. A group called the Patriotic Millionaires advocates for eliminating loopholes and building a fair and transparent tax system. They’re pressing Congress to crack down on tax evasion by the superrich. Their message: Bring the wealth home! Stop hiding the wealth in offshore accounts and complicated trusts. Pay your fair share to the support the public services and protections that we all enjoy.
? Trial Date Set in Kids Climate Lawsuit Against U.S. Government World’s Largest Printer 3D Creates Zero-Cost Housing Out Of Mud ?